Custom ROMs are mostly debated and talked term in most of the Android Communities on the web, thanks to the developers who have put in their time and energy who makes customized and performance improved custom roms for your Android devices. Today, in this section, we will learning on how to flash custom rom using the step by step instructions. But before we move on, I know most of you do know about Custom ROM but then I would explain in brief what are actually custom roms and why you should use them. We all know that Android is an open source os by Google Inc which gives the permission, authority to developers to modify and add new features and tweaks by modifying the existing code which is distributed by Google publicly. Hopefully this has given you an idea of what is actually is Custom ROM in terms of Android terminology. But remember every Custom ROM is not working on all devices, developers has to make it compatible for your specific android device, so when downloading custom roms, double check that it is compatible with your device otherwise you’ll end up bricking your phone. What are Popular and Best Custom ROM? 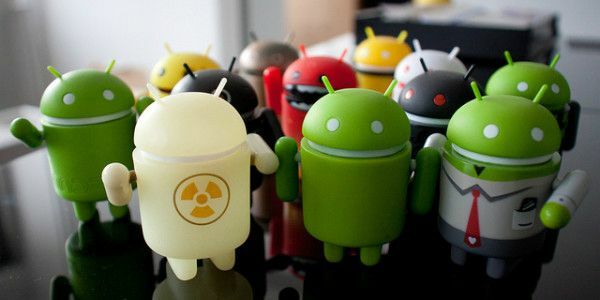 There are many android devices which does not officially receives any more updates, Just like Samsung Galaxy S2. Custom ROM gives you the opportunity to test out the latest features before it is officially released for your device. Built-in tweaks which further improves the performance of your device. No Stock Apps (Bloatwares) which further increases the internal storage on your device. If did not flushed correctly then it might brick your phone. There are certain guidelines you should take care of before you start flashing custom rom on your device, so that you are able to safely and successfully flash and update your phone. Download the correct ROM specifically compatible with your device. Just like Custom ROM for Galaxy S3 international variant may not work for AT&T variant of Galaxy S3 and thus you may end up bricking your device, so be careful!! You’ll need Custom Recovery i.e ClockworkMod (CWM)/TWRP Recovery. You should perform full backup of your existing ROM before you flash any new rom, which is called Nandroid Backup. Most Custom ROMs do not come with Google Apps for which you have download GApps package for specific Android OS, which will install default Google Apps like Gmail, G-Search, Play Store and so on. Last but not the least, make sure that you’ve got enough battery charge before you proceed to flash it. Hopefully by now you have learned everything about Custom ROM!! Finally now its time to move on further and learn how to safely Flash Custom ROM using Custom Recovery. Step 1: I assume that you’ve read and implemented the above guidelines. Step 2: You definitely needs, Custom ROM and GApps zip package and make sure you’ve got both files. Transfer both files to your Micro SD card. Do not extract the files. For Samsung phones: Hold the Volume Up+Home+Power buttons all together. For HTC: Volume Down+Power button and from Menu choose the Recovery option. For Sony: Volume Up+Power button. If the above listed method does not for your device, you can Google for your specific device!! Step 4: Once you booted into Recovery Mode, You’ll be using the Volume Up/Down to navigate between the options and Use Power button to select the desire option. Step 6: Select the option “Install Zip from SD card” and “Choose zip from SD card” and navigate to the directory where you’ve placed the zip file of custom rom. Step 7: Use the same step 6 to flash GApps package. Step 8: Head over to main menu and select the option “Reboot” or “Reboot system now” to reboot your phone. Congrats!! You’ve successfully installed Custom ROM on your Android device!! That’s it folks!! It was everything you needed to know and learn about Custom ROMs and How to Flash/Install it. Do let us know and share your feedback in the comment section below. If you’ve find this guide useful, share it with your friends as have put in a lot of time and energy to make it everything simpler for you so that you’re able to fix and troubleshoot your Android device. Your precious suggestions are always welcome.